Fill out our simple form and get quotes from local cake makers. Every celebration needs a cake. 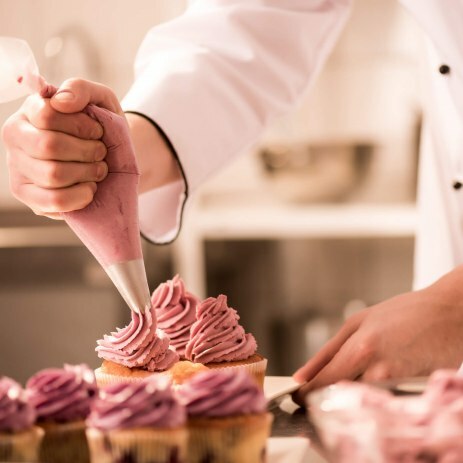 Add to Event helps you find a wide selection of cake makers in your area. Get a quote from cake makers for cupcakes, birthday cakes, whoopie pies, wedding cakes, celebration cakes, brownies and more. Let your guests eat cake! No matter the design and size of cake, we can bespoke to your requirements and have it delivered and set up for your event! Not everything has to be covered in tons of icing, Homemade By Victoria creates simple Naked Cakes using fresh cream or buttercream, Drip Cakes, Piped Number Cakes and Cupcakes Stacks. We're a family run business of cake makers for over 20 years. We provide cakes from few to large numbers. For various occasions. We're a small company based in Gosport offering a personalised service tailored to your needs. Happy to work from an existing design or help you come up with something unique!